My third attempt with Yellow-throated Warblers turned out to be the one I was hoping for! I must have gotten lucky and hit a big migration day for them because I was seeing up to 5 of them in the trees in front of me at once! 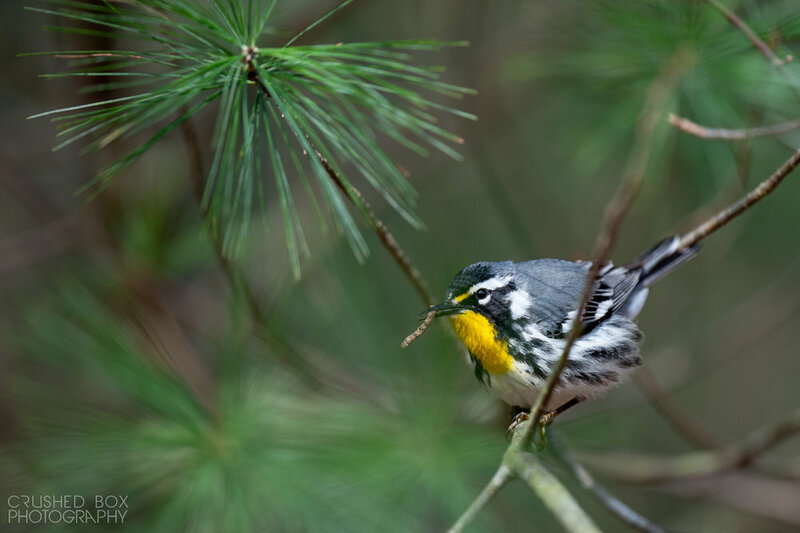 It was incredible to see that many of these incredibly striking warblers bouncing around the trees feeding. I also had a few Ovenbirds show up nearby and give me a few great photos, including possibly one of my favorite silhouettes of all time, the singing ovenbird in the spotlight. Another amazing spring morning spent chasing warblers.